1 – go to Lido for brunch or lunch. 2 – maybe go back for dinner. But I can only speak to the first part. I had visited Lido a few years ago, and I remember it being delicious then, and good news! It still is now. My friend Matt and I shared a bunch of dishes, from meatballs to pastas to toast and even mussels. 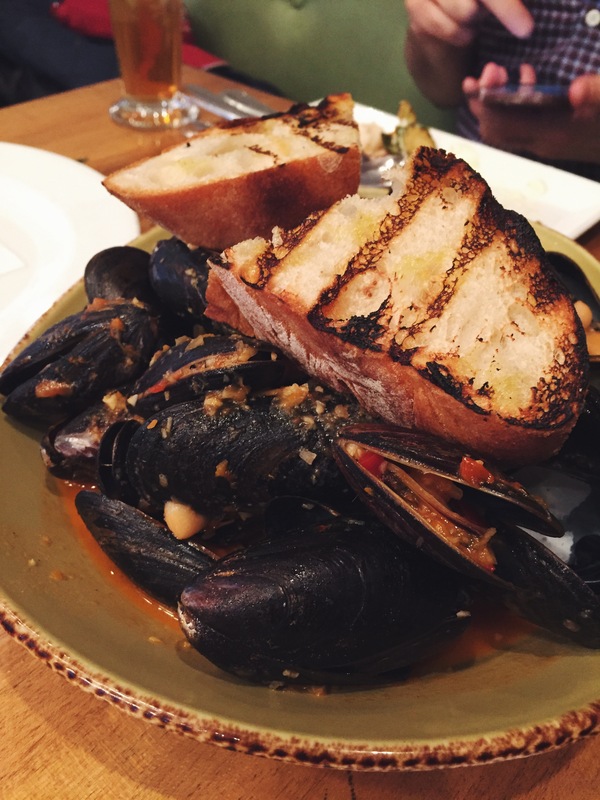 Fun fact: Lido has $10 lunch specials and the mussels were part of that. A great deal for a good amount of food. So without much further ado, and in no particular order, here is the lineup. This was cheesy and delicious. Need I say more? I guess I should. 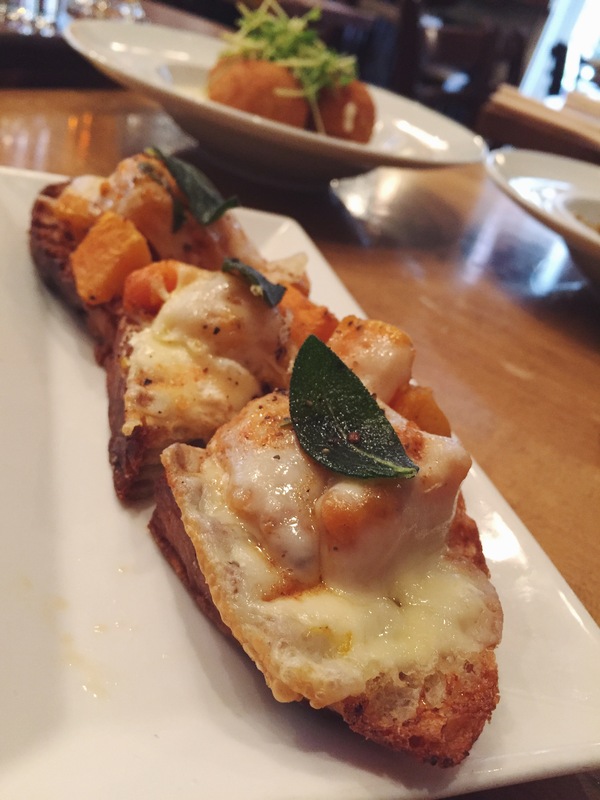 Big chunks of butternut squash underneath a thick blanket of goat and fontina cheeses, and a piece of crispy fried sage right on top. It was really simple and well balanced – a nice wintery bite. Arancini is actually Italian for “little orange”. #themoreyouknow. For whatever reason though, these have nothing to do with oranges. Arancini are also deep fried rice balls that are usually stuffed with meat or cheese. These were definitely worth making the trip for. Well these and the pasta, but I’ll get to that. 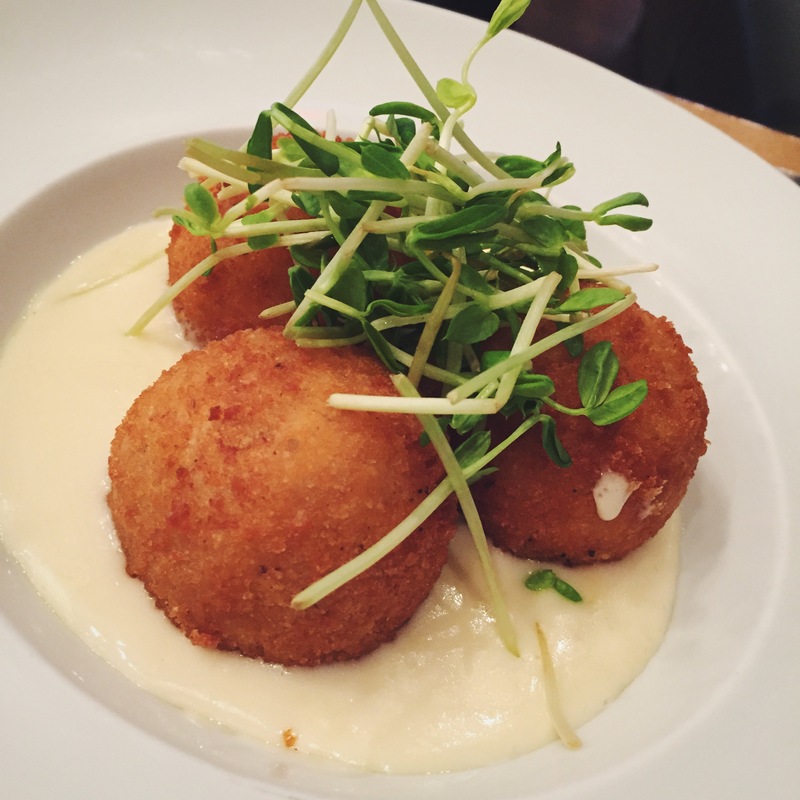 Lido’s arancini are stuffed with different things – one was stuffed with olive tapenade, one was stuffed with cheese, and they were all sitting in a creamy cheese sauce. Things Dara likes to combine: cheese and more cheese. While certainly a heavy appetizer, if you’re a rice fan, or a fan of things deep fried, go for it. If I were to go back, I would probably hold off on these to save more room for the pasta. You know what I loved about this? Aside from everything? It’s under the Insalate or “salad” part of the menu. Makes me feel like I’m being healthy. 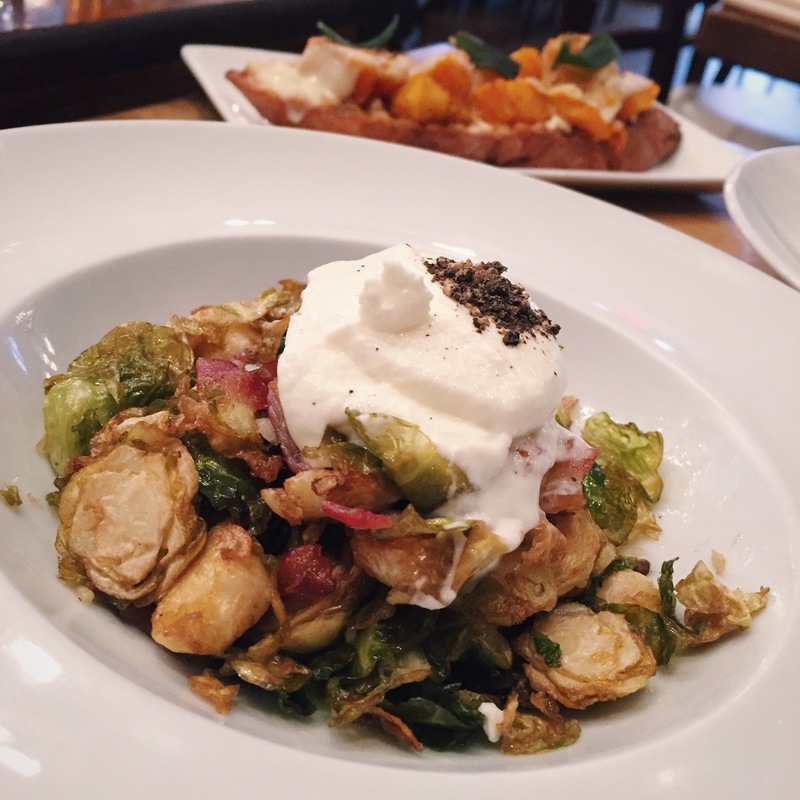 Crispy and salty roasted brussels sprouts with bacon and organic house-made ricotta. That ricotta though. It was so smooth and a little chilled, which was a nice contrast to the warm brussels sprouts. This is a must, in my opinion. And it’s my blog, so who else’s would it be? I loveeee a good red sauce. 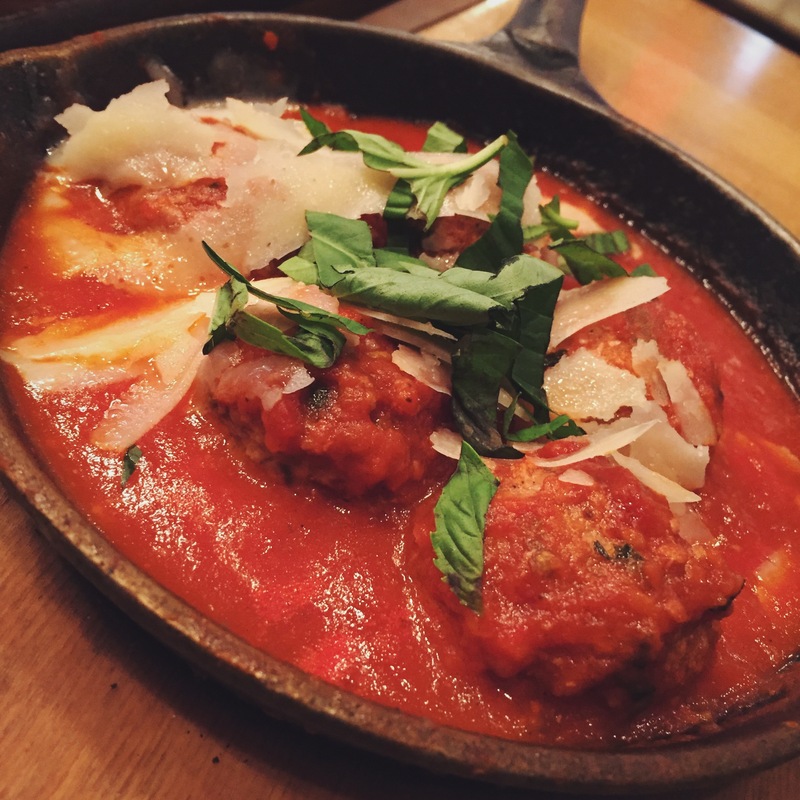 Marinara, gravy, whatever you want to call it, I’m into it. Lido’s red sauce was good, and the meatballs were tasty with a nice texture. I hate when meatballs are too mushy or too dense. These definitely hit the spot. Mmmmm gnocchi. Mmm with truffle butter. 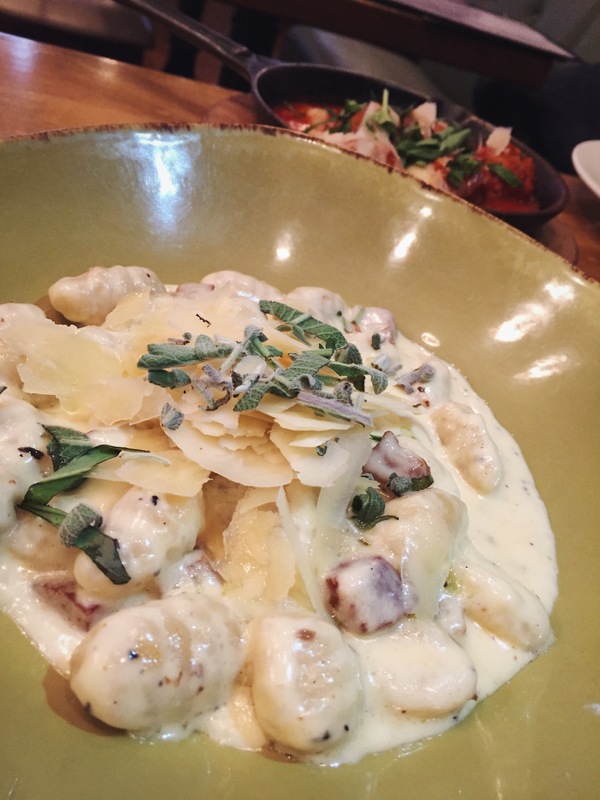 Mmmmm fluffy pillows of pasta swimming in a sea of creamy parmesan sauce and guanciale. Mmmm. Sorry I lost a little of my brain power there. This pasta is on the “winter comfort food” side of things, aka it’s a little heavy, but it’s so worth it. Guanciale is a type of bacon, if you weren’t aware, and it is heavenly mixed into a dish like this. I don’t recommend going for a run after, but I definitely recommend eating it slowly and savoring the moment with a glass of wine. If I’m being perfectly honest here, I think I order mussels 90% of the time due to the broth they’re cooked in. And the delicious grilled bread that you dunk into said broth. So…let’s just say Lido hit a home run with this one! An aromatic broth of tomatoes, garlic, hot cherry peppers and cannelini beans. Hello. I would have picked up the bowl and drank it if it wasn’t such a nice establishment. And for $10?! An absolute must. I don’t venture up that way too often, but if you live in the area (or go to Columbia), or just want to have lunch before running across the street to Levain bakery for cookies (seriously it’s across the street), I highly recommend this spot! The ambiance is warm and inviting too – perfect for a cold NYC day.